Welcome to the last trading day of the week, fellas! Let’s get this bread with these potential breakouts on EUR/USD and CAD/JPY’s charts! Remember that descending channel that we were sure would hold earlier this week? Well, it looks like the bulls had more muscle than we thought! The pair broke above the pattern yesterday, and it looks like we’re seeing a break-and-retest situation near the 1.1350 minor psychological area. 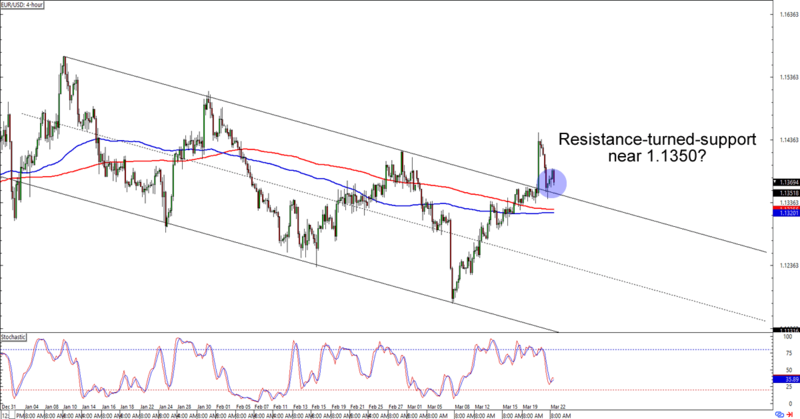 Will EUR/USD extend its uptrend? Or are we really looking at a fakeout that would drag EUR/USD back to its downtrend? Watch this one closely in case the pair sees momentum that would give us a pip or two (or a hundred) over the next trading sessions! Is CAD/JPY’s uptrend nearly exhausted? As you can see, a potential head and shoulders pattern is forming around the daily time frame. 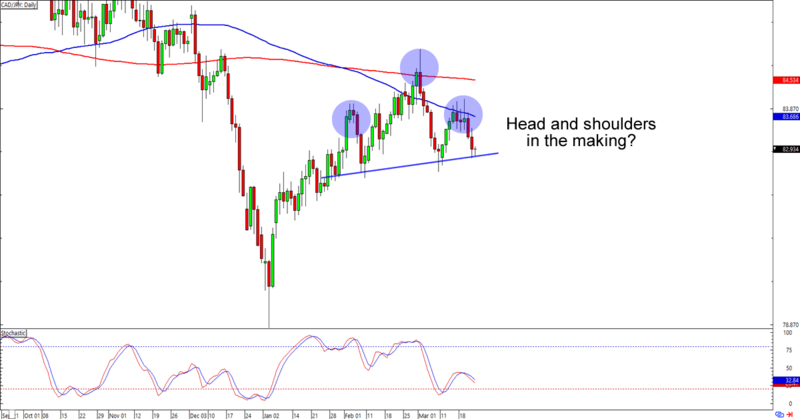 If you’ve read the School of Pipsology, then you’ll know that head and shoulders breakouts can be as strong as the distance between the “head” and the “neckline.” In this case, we’re talking about a hundred pips, yo! The pair hasn’t broken to the downside yet, so y’all can still write your breakout trading strategies if you’re planning on taking advantage of the setup. If you think that we’re actually looking at a rising trend line support, though, then you could also buy at the earliest signs of a bullish momentum and aim for a retest of the previous areas of interest just below 84.00. Whichever bias you’re trading, make sure you’re sharpening your risk management skills when you execute your trading plans!